Peafowl, flying adder and wavy hair have all been the symbols of art nouveau as well as gloss, ostentation and pleasures. However, there was a completely different, specifically Hungarian type.. Transmitting integrity and the mood of a fairy tale: the tower of the Kalotaszeg Church, `the innate szekely (szekler, inhabitants of Transylvania) wonder`. Countless drawings and paintings have been made and the tower became a symbol, an icon. 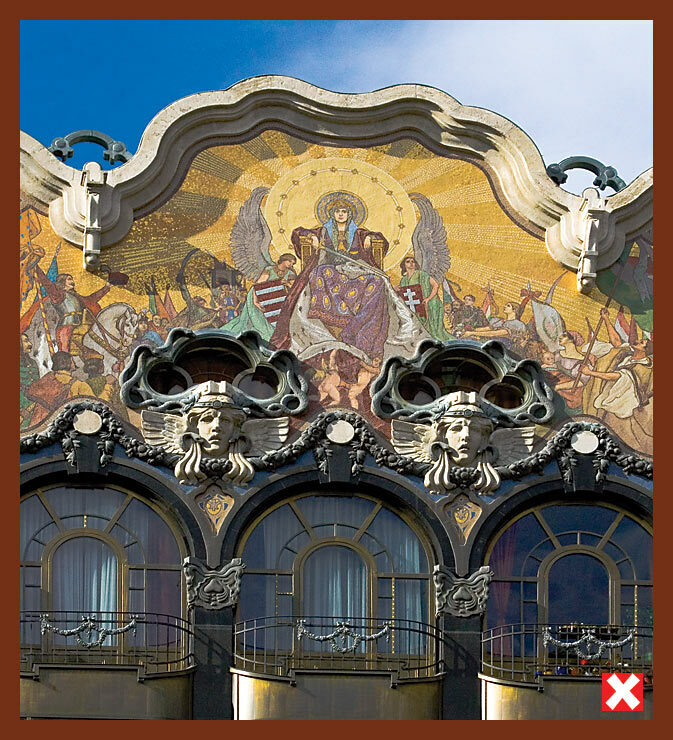 This has inspired some more buildings which are making us all proud in Budapest, Transylvania and Slovakia. 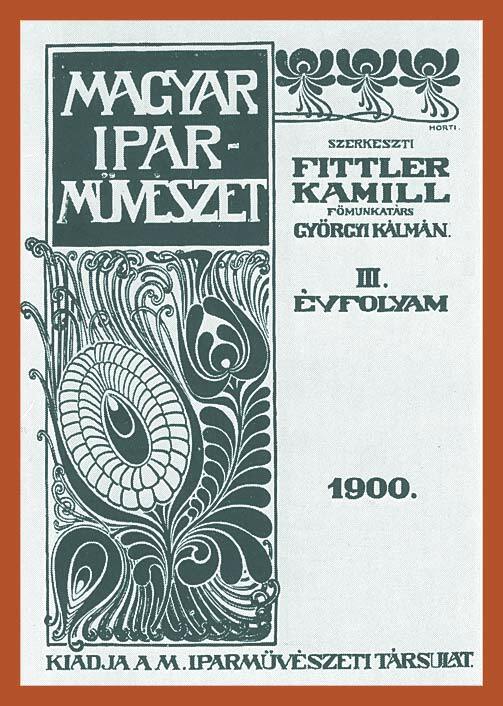 This article (click on the link above) is the perfect occasion to introduce you to some of the artists of the turn of the century through one of their artworks, based on the writings of Katalin Keseru. We`ve collected the four grotesque markings of the budapesti utca (Street of Budapest), and added a little history to it. The importance of markings lies in the fine details which can be brought close to the patient viewer by a camera. Ernst Ludwig grand duke (Hesse-Darmstadt) often visited Vienna and was deeply interested in modern arts. In 1899, for his impulse, the Darmstadt Art Colony has been set, leaded by its architect, Jospeh Maria Olbrich, who got into the prince`s circle of friends as well. It is truly a fairy-tale. 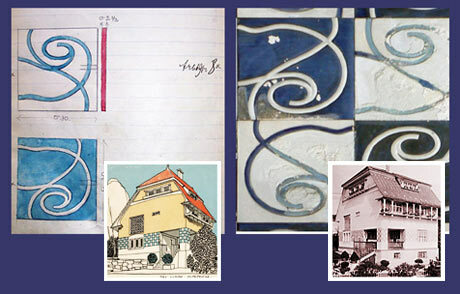 Olbricht moved to Vienna and designed many houses. To make everything as modern and amazing as possible he got in contact with the Zsolnay factory too. 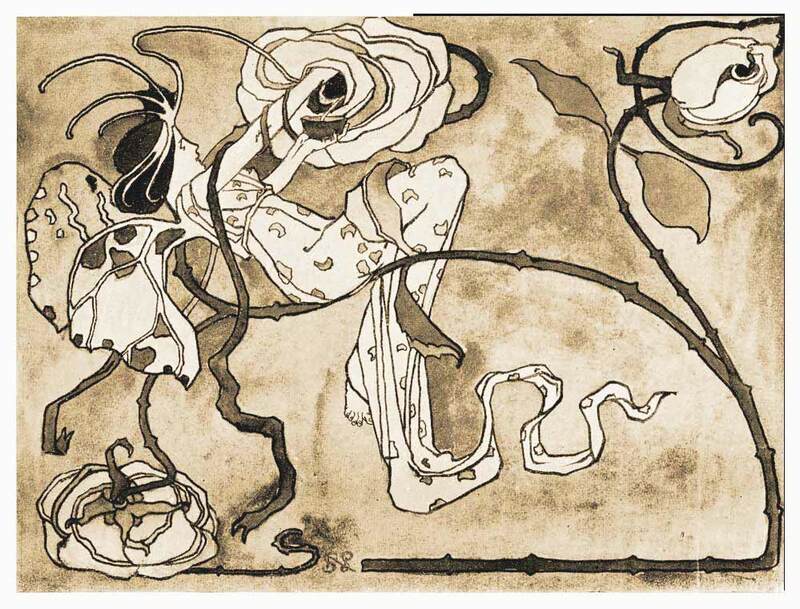 symbol of the Art Nouveau. a living decoration. Why this beautiful, dangerous decor has formed in nature has made Darwin think as well, and he made his conclusions adaptable to humans too. Our article shows the representations of the peafowl in the XIX century Art Nouveau and its progenitors through industrial arts. The golden artefact of Nagyszentmiklos was the talk of the XIX century – an archaeological sensation -, for a long time they have mistaken it to the `treasure of Attila`. Many artists, including Odon Lechner and Vilmos Zsolnay have been inspired by it too. "There is no excuse for doing anything which is not strikingly beautiful." The secession (Art Nouveau), having been revalued in the XXI century, due to the new importance of decorations, ornaments and pendants. Many readers sent us images and articles regarding secession from Marosvasarhely, Pozsony, Kaposvar, Budapest, Szabadka and so on. If you`d like to send us images or essays, we will be happy to post them, as this is really your magazine too. Search articles, themes or older issues below. To hear all that is happening, secession events: such as exhibitions, book launches or walks, follow the Szecessziós Magazin`s Facebook page. Facebook is also the place for opinions, responses and getting in contact.